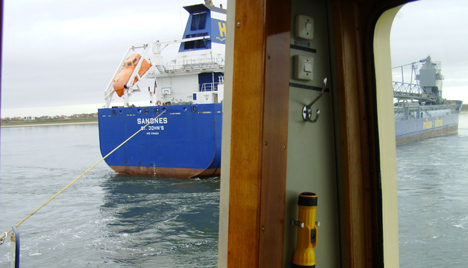 The bulk carrier Sandnes ran aground at low tied at the harbor entrance of Esbjerg, Denmark. The 27,711 ton vessel was refloated several hours later with the help of two tugs. There was no reports of damage or pollution. The 100-person, 12-car ferry Egholm II foundered while being towed in Aarhus Bay, North Sea. The ferry was to replace a smaller ferry running between the island of Egholm and Aalborg, Denmark. Repors state the ferry was experiencing problems while under tow, but no direct cause to why the vessel sank. 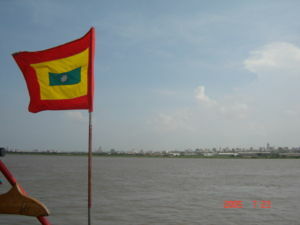 The Cyprus UBC Tilbury went aground at the mouth of the Magdalena River near the port town of Barranquilla, Columbia. The bulk carrier was attempting to enter the waterway when it veered off onto a sandbar. Reports state that conditions were excellent with no wind or waves. A pilot was onboard when the vessel went aground. The UBC Tilbury left Santa Marta carrying 25,026 tons of corn and sorghum bound for Barranquilla. The vessel is listed as 182.9 meters by 28.6 at 24,140 tons.